It has been quite a while. And here is my explanation. Book Blogging used to be my hobby. I would enjoy reading books and reviewing them, interacting with other book bloggers and sharing my love for literature. For some reason I cared about the numbers too much and reading as many books as possible. I became envious of people who had more books than me. Even if I had bought books or had access to books in the library, I would continue to buy more and more not because I wanted the book but because everybody else had that book on their shelf. It became a toxic cycle and it reached a point where I stopped reading completely. Yes. Me who used to read every single day of their life went to reading a book once every 3 months. I would pick up books read a bit of them and then chuck them somewhere. I was in a slump in a way. With exams and wanting to have a great social life it meant that I felt the need to drop my love for reading. It has taken me a while to have a 'positive' relationship with reading. I would associate reading with pressure and it reached a point where it became lackluster. It has definitely taken a long time for me to pick up a book and read because I want to read and when I picked up one special book it made me realise how exciting reading was for me. I missed that thrill and I am so glad to have it back. Nothing makes my heart pump harder than a thrilling part of the book. Nothing makes my imagination run wilder and nothing makes me feel more relaxed than reading. I spent a good 2 years glued to my phone and watching movies and tv shows but they just aren't as exciting to me. As much as I do love the shows and movies, my attention span cannot last for more than 30 minutes when it comes to watching shows. Also one weird reason I left book blogging was because in a way I felt excluded from the community. Everybody else had their cute online friendships, interacted with eachother on twitter and being friends with book publishers. To be completely honest I was intimidated. I was a teen (still am) blogging in an adult world in a sense. Adults read and reviewed YA majorly and I felt kind of left out as I didn't know how to communicate with them very well. Feeling like a little bug in the corner is hard especially if you want to put out a young adult perspective on young adult literature. I feel like I'm going off on a tangent but I just wanted to explain to the few who cared why book blogging became less of a hobby and more of a burden and I hope whoever decides to read this post understands. This year I promise to blog again even if it just one more post. 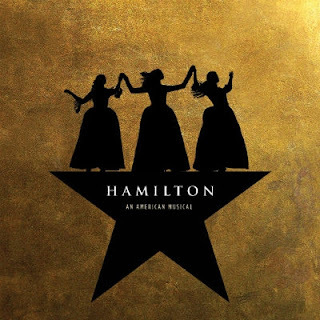 Today I want to write about a) my favourite musical at the moment b) how it has impacted me as a teen of colour and c) why Lin Manuel Miranda is the best person on this earth. (I recently found out that he is in London meaning that I am breathing the same air as him and the prospect of ever bumping into him makes me squeal). Enough of the fangirling, let's begin. Firstly, I will talk about my history with musicals. Before I joined secondary school, I didn't know what musicals were until I started having singing lessons in year 7. My teacher introduced me to the wonderful world of musics and of course WICKED. Musicals have always helped me get through things. For example, when I was bullied in year seven to stop myself from going down a dark path I would repeat to myself every morning "Think like Elphaba" because I admired her as a character. She was different, smart, green and ambitious but was bullied as well but go through it and it so weird how a musical soundtrack helped me get through that part of my life. Being bullied for being different is something I struggled with for a while and sometimes I remember it and cry and this is why musicals are so important to me. This was when I knew I wanted my life to lead in that direction. This is now the part you are waiting for: How Hamilton affected me and why it is important to me. This all started when I told my siblings in my high pitched voice "I want to be the black Elphaba and I will be" which was responded with laughs from my siblings. They told me that the west end and Broadway don't hire black people especially dark skinned girls into theater roles. I am so angry with myself that I listened to them, so angry that I didn't pick GCSEs which meant that I would be able to do Musical Theater, so angry that I let myself believe that I couldn't do it. I am everything the musical world doesn't want to hire into roles. I am extremely dark skinned with an afrocentric nose, east african and really skinny with braids in my hair. When I found out about Hamilton I was shocked. A successful musical about old white men but played by people of colour? And it has hip hop in it? AND it's successful? AND it involves my two favourite things history and MUSIC? Whaaaattt? (hamilton reference if you 'know' you know) I thought it was a dream. Representation matters guys. If me 5 years ago could hear about Hamilton, I wouldn't have been discouraged, I would've said "Yes this is possible" and I would probably listen to the soundtrack throughout over and over again for a good 3 years. Now that Hamilton is coming to the west end, I have never been more excited. I hope the tickets are affordable though but I would love to thank Lin Manuel Miranda because he has taken a step forward into making musicals more diverse. I hope to one day see an Elizabeth Schuyler with dark skin and non-western features with braids or twists in her hair because that it something I would look up to. P.S. I WOULD LOVE IT IF YOU CHECKED OUT MY COVER OF 'TAKE A BREAK' FROM HAMILTON AND SHARED IT! I am back for a while now. 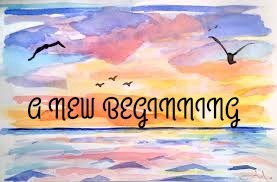 I feel awkward typing this as I haven't blogged in a while so I apologize in advance for an utter crapness I splurge out, As you can see, I have actually removed all my previous posts hence why this post is called 'A New Beginning'. I want my blog to be mine again and I want to be passionate about blogging again so I decided to erase the past and begin this new era of The Perks of Being A Bookworm. If you read my blog before it was usually gushing over love triangles and writing random posts about random things and I enjoyed it for quite a while, blogging was my happy space, I found myself drifting away from blogging and I felt as though my posts were getting quite repetitive and there wasn't really much for me to say. Doing the same posts over and over again felt like such a long task and I felt myself sighing whenever I remembered to write a blog post. That old feeling is over. Looking at the books I have read this year, the movements I have explored this year I have found a new and better me. Taking a step bakc and looking at what is in front of you and around you is a great experience. I used to believe that getting the most views possible was the only way I would be able to be proud of my blog, Now this blog is about me, not views, me. I hope you guys can join me on my journey to discovery. I was inspired by my favourite youtuber Savannah Brown to write poetry and start my writing journey. Here is one a made at the end of March called Bibliophile when I was sitting in bed and I couldn't sleep. Wrung in the hands of those who once cared, taking a piece and passing it on as though at a party of sadistic teens and instead of passing parcels, we pass feelings. Illustrated by a psychedelic paw, each page a burst of melancholy colours, scribbles in permanent link embedding itself into the rough paper and ending unfinished sentences. Your eyes skim past the meanings written in italic comic sans, screaming to be looked at but you sit in your clear specs feigning the intelligence you claim to have. Coffee stains, heart pains, messed up lies and constant tears. You say you like literature and hidden meanings, you're addicted to words spun to create images. Why can't you see the message I'm clearly sending to you? You say you're a bibliophile, why can't you be addicted to me? Thank you for reading this poem. It has nothing to do with me but I like to create characters and I wanted to act heart broken for one night. into this Southern United States idea on religion and how it effects people's opinions on others completely. In this community called Forrestville we meet three characters, Dill, Travis and Lydia wjo don't fit into the category of cool to other people. Travis is a fantasy book loving, lumber working and overlooking boy who just wants to be understood. Lydia is the girl with the blog, she looks out for her friends, is quick witted and a believer in imperfection. Then there is Dill who is basically the main focus of the story, his dad is in prison, his mother has to work hours to make ends meet and all he has is his songwriting. This follows their journey through senior year and the pressure they take to try and make futures for themselves even though they're from a small town. I tried to explain the book without giving to much away as it is better to be kept on the dark side with this one. 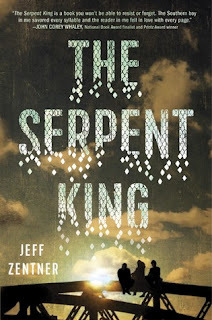 This book really captured the essence of being a teenager and I really did enjoy Zentner's writing style as it was easy to follow yet kept you pulled into the story. My only criticism for this book would be the fact that the pacing varied throughout the book. In other words, sometimes it was a bit too fast and sometime it was a bit too slow but by the end there was a balance. I found myself having to flip back sometimes to pick up parts I didn't really catch on to. My favourite character by far would have to be Travis. The way that he was fearless and selfless and really valued the small things in life. He was admirable and really came through a lot. He didn't let petty arguments between his friends wreck his day and I just wanted to be his friend so we could discuss fantasy books together. I'm not going to lie. I did shed a big tear at the end if this book and I don't cry much when I read books! It was a full on 1am sob and the way these characters overcame their issues and pushed forward even if they felt like their thread had snapped. Overall, I do recommend this book as it is a gripping read which I think you would enjoy! Sorry if this review is messy, I'm a bit rusty as I haven't written a proper review in months! In the frozen north, Kestrel is a prisoner in a brutal work camp. As she searches desperately for a way to escape, she wishes Arin could know what she sacrificed for him. She wishes she could make the empire pay for what they’ve done to her.But no one gets what they want just by wishing. Why Am I Waiting This Wednesday? After marathoning the first two books at the start of the year, The Winners series has quickly become one of the favourite trilogies of all time. I'm extremely invested into this world and the publication date is so close yet so far! I really can't wait for this book to be released. What are you waiting on this Wednesday?? Last year one of my personal goals was to step out of my comfort zone a tiny bit more. This included my reading. I used to only read books like "Angus, Thongs and Full Frontal Snoggimg" which are cutesy tween reads. I started to read more fantasy which I have now become obsessed with and different genres like steampunk and historical fiction. One genre I hadn't dived into completely was horror because I get scared so easily but I enjoy being scared. Today I will be reviewing two horror books which I enjoyed that I would recommend if you feel like being scared a bit! I personally loved this book! It gave me the right kind of chills and really had me on the edge off seat. I liked how modern elements were added to make the story more relatable for a younger audience and it gave of an eery feel to the book. 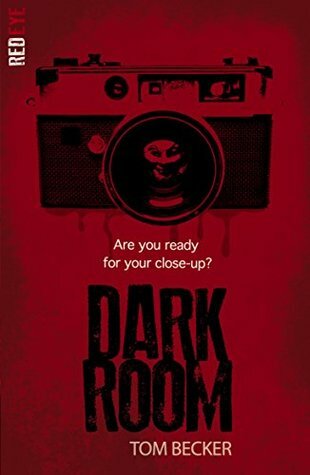 This was a gripping, action packed and fun read which I would definitely recommend to anyone who is looking for a horror book to send a shiver down their spine! I overall gave this book a 4.5/5 stars. People say that all Cornish inns are haunted, but the Waterwitch’s history is particularly chilling. Built from the salvaged timber of a cursed ship, the guest house’s dark secrets go further back than anyone can remember. 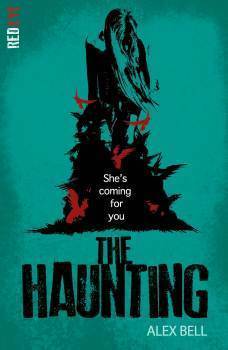 A chilling new title in the Red Eye horror series from the author of Frozen Charlotte. 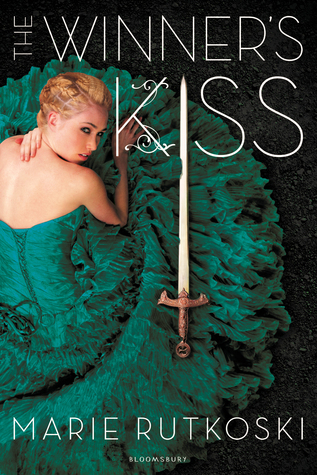 Although this book was a fun read, I didn't enjoy it as much as I wanted to. 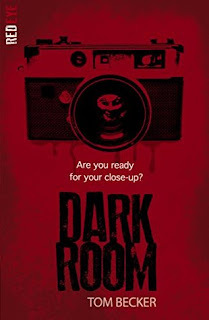 I had high hopes for the book but it took me so long to get through it as it didn't pull me in as much as The Dark Room. Nonetheless, it was a fun read and I did like the diversity in this book by having one of the main protagonists in a wheel chair who is strong minded and thoughtful. It still held the creep factor and I would recommend this book if you're into historical horror! I gave this book a 3/5 stars. My name is Naomi and I am a book lover, musical fanatic and history geek. Thank you for visiting my blog!